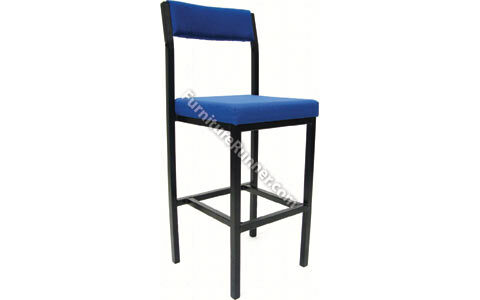 Ideal for work benches, bars and checkouts. The Jemini High Stool with Back Rest has Bradbury Pyra fabric and complies with BS7176 medium hazard, or wipe clean black vinyl. The frame is made of a strong 1 inch steel square section with Black epoxy coating. Foot bar for easy access and descent and Non slip rubber feet.